Founded in 1919, Campbell is the largest manufacturer of welded and weldless chain in the United States. Users of Campbell chain can select from a wide range of working load capacities including proof coil, high test, transport and alloy; finishes including self-colored, Blu-Krome®, galvanized and bright color polycoated; links that are short, long, twisted, locked, looped, even stamped from flat stock. Several chain types are even available in solid brass and bronze. 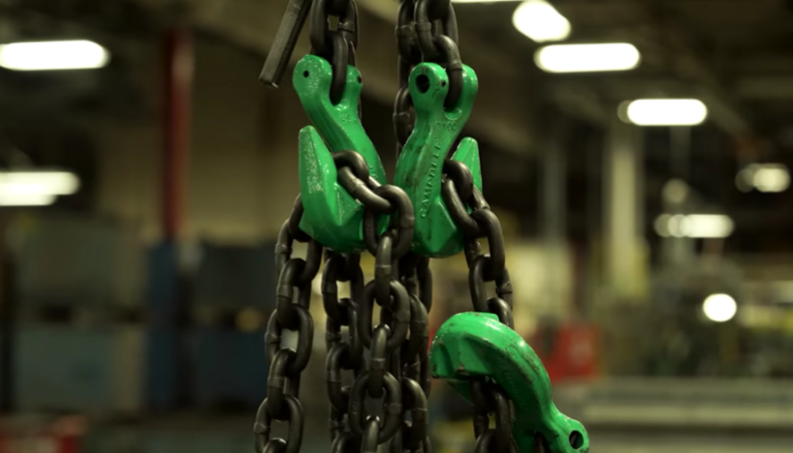 Campbell chains and assemblies, including slings for overhead lifting, tie-downs and binder chains, have earned for the manufacturer an outstanding reputation for quality.